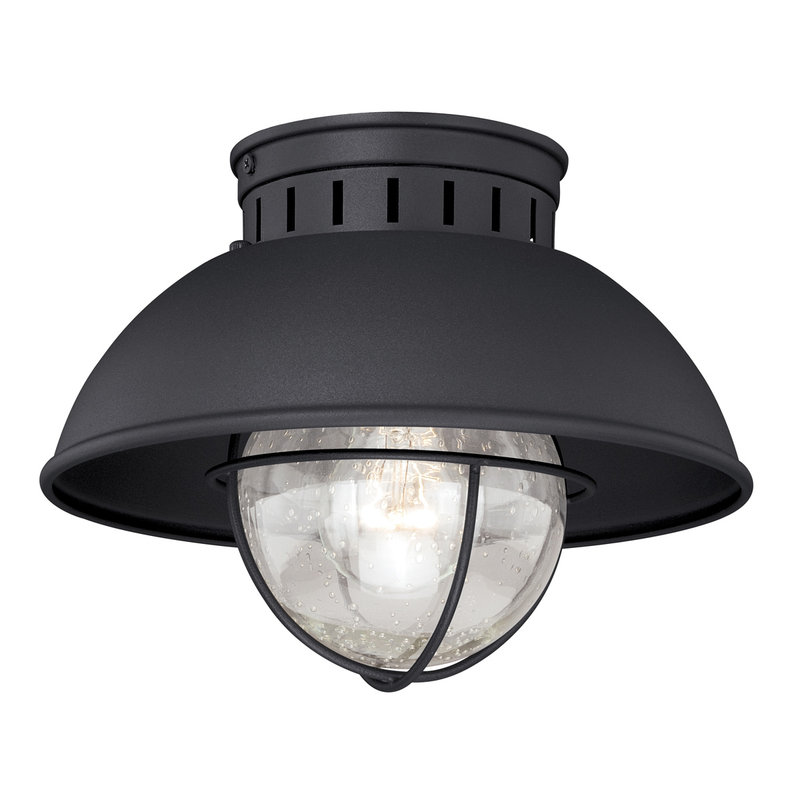 Capture seaside style with the Harwich Black Outdoor Ceiling Light. Made with sleek industrial style, this outdoor ceiling light is the perfect accent for your home. ~ Ships from the manufacturer. Allow 2 business days. Cannot express ship.